... Gov't launches fund in aid of victims President John Agyekum Kufuor has sent a message of condolence to countries affected by last Sunday's tsunami expressing Ghana's profound shock and sadness about the unprecedented tragedy. A statement issued in Accra on Friday (Dec. 31) by the Ministry of Foreign Affairs said President Kufuor also seized the opportunity to express the conviction that the governments and peoples affected in these countries could, with fortitude and resilience, rebuild their devastated countries. "However, in view of the gravity and extent of the catastrophe, the government like many other governments, has decided that we should also contribute our widow's mite toward helping our fellow human beings as an act of solidarity." 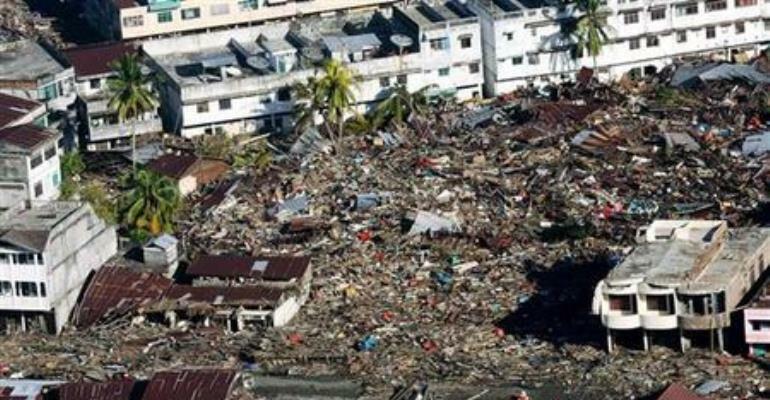 The statement said the government had therefore launched a fund in aid of the unfortunate and traumatised victims of south Asia and parts of East Africa who were affected by the tsunami that had claimed some 125,000 victims. It said a bank account number 01256600140-02, known as the Ghana Government Creditors' Account, had been designated at the Bank of Ghana to receive contributions for this purpose. "The Government is, therefore, appealing to all corporate bodies and all Ghanaians in a position to do so to contribute generously to this worthy cause."